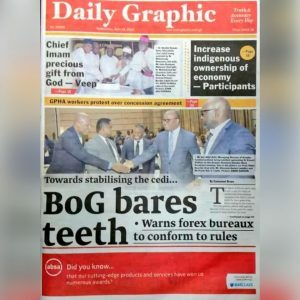 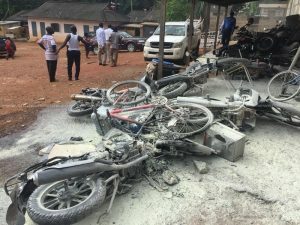 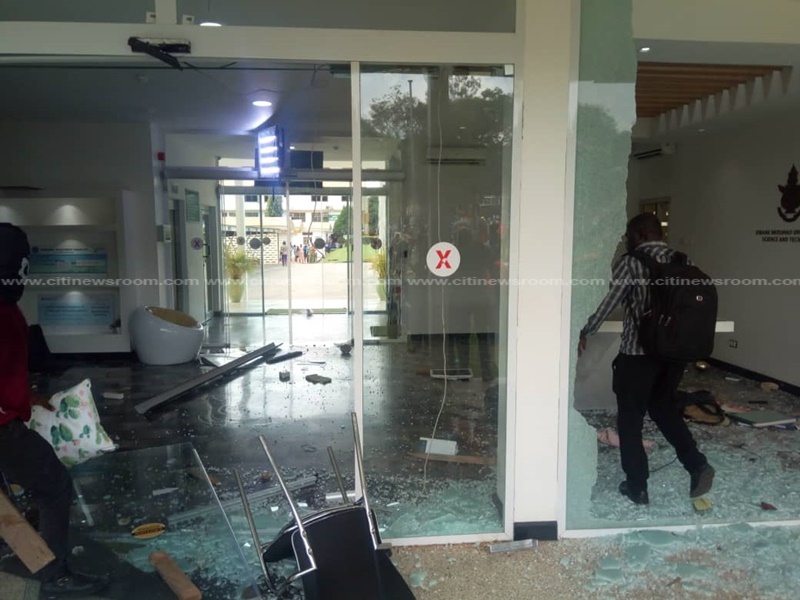 The protest by students of the Kwame Nkrumah University of Science and Technology [KNUST] against the school’s authorities over what the describe as an unfair treatment has turned violent. 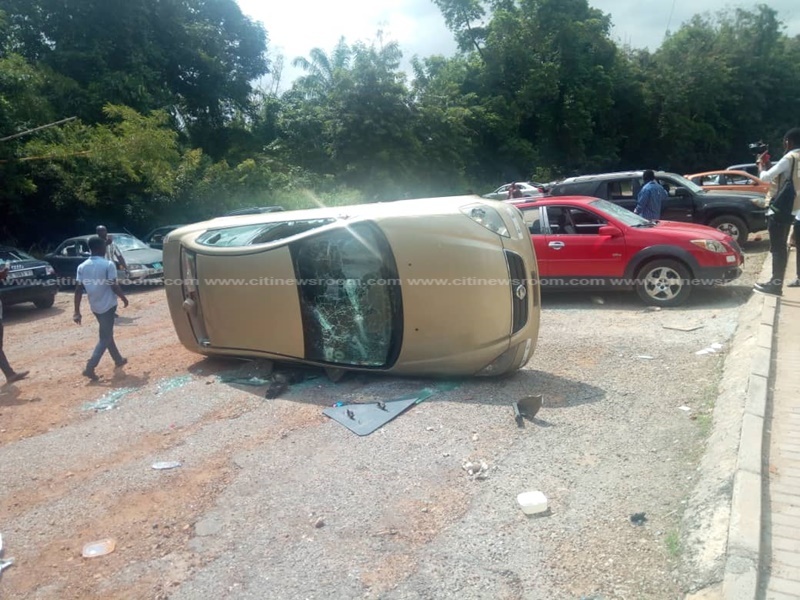 Students have resorted to vandalizing school property and literally anything they lay their hands on, as some cars parked on campus have been damaged. 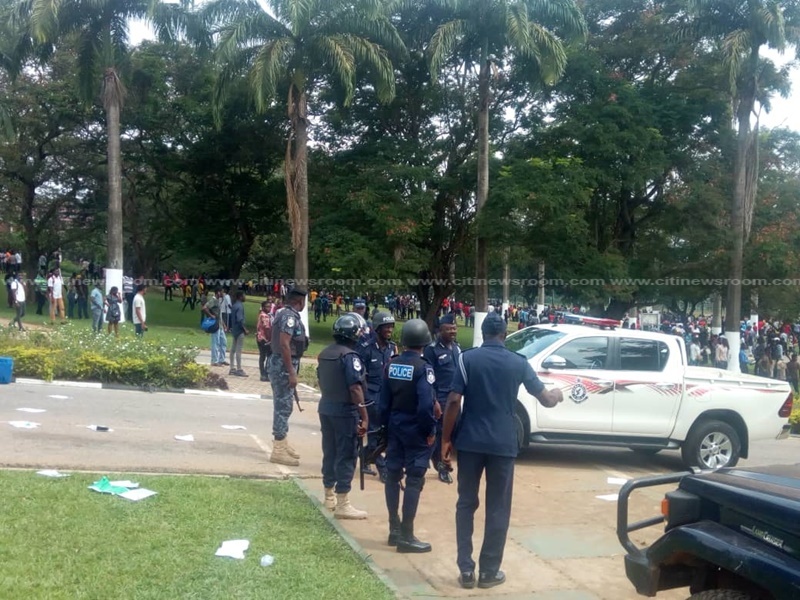 Police in the region have been deployed at the University to restore calm and order. 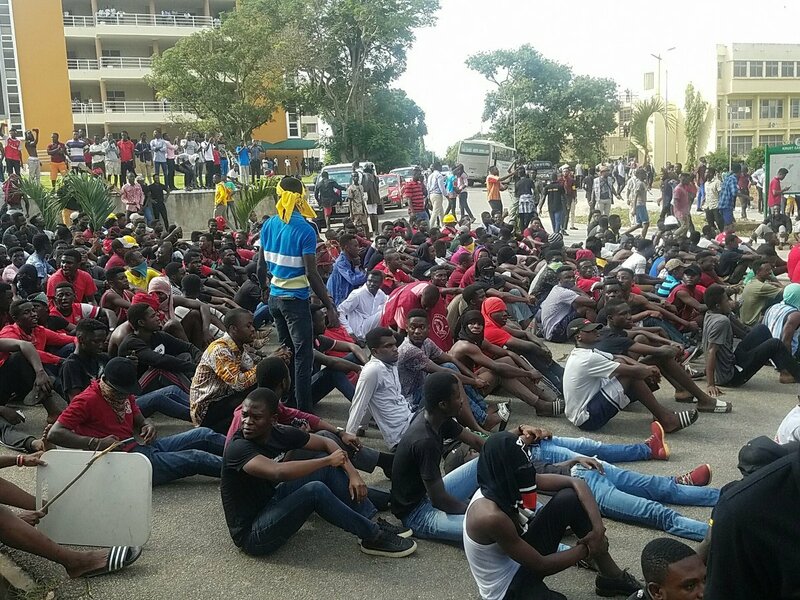 The Students’ Representative Council (SRC) of the Kwame Nkrumah University of Science and Technology (KNUST) begun its demonstration today [Monday 22nd October] in protest of the university’s management following the arrest of 10 students and one alum of the school. 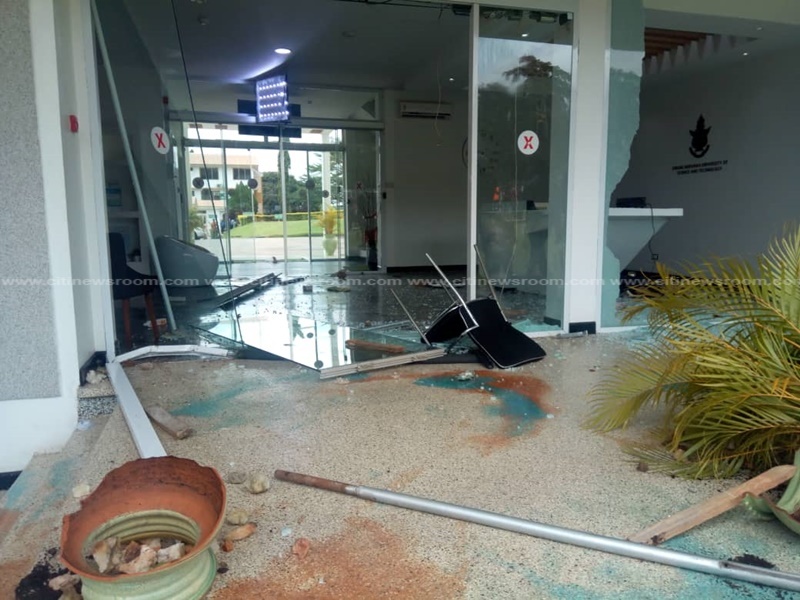 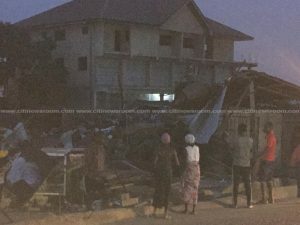 The post KNUST students demo turns violent, property destroyed appeared first on Citi Newsroom.